Outlines how decisions are made in relation to applications for a place in our school. Was formulated and ratified by our Board of Management, following consultation with our Parents’ Association and our teaching staff. It has been approved by our Trustees, the Loreto Education Trust. Is subject to change (without prior notice) and is reviewed on an annual basis by our Board of Management. 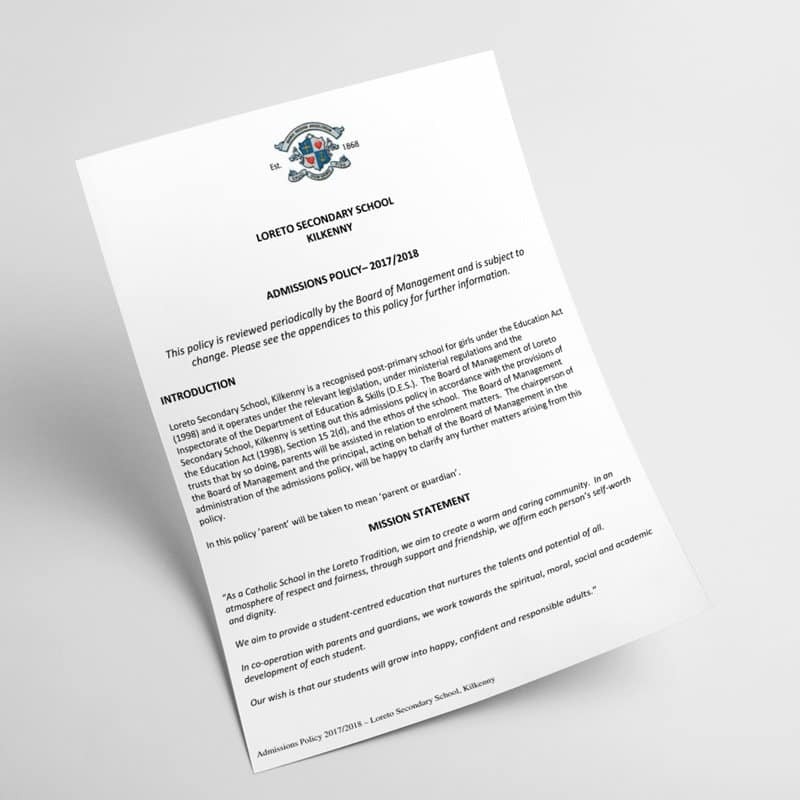 Download a copy of our application form for students transferring from another second-level school (on this page) or contact the school office to have a copy posted to you. Read our current Admissions Policy. Submit your completed application form to the school office. Please include a copy of your daughter’s most recent school report with her application and a cover-letter explaining why it is in your daughter’s interests to transfer. Links to the following documents can be found on this page. 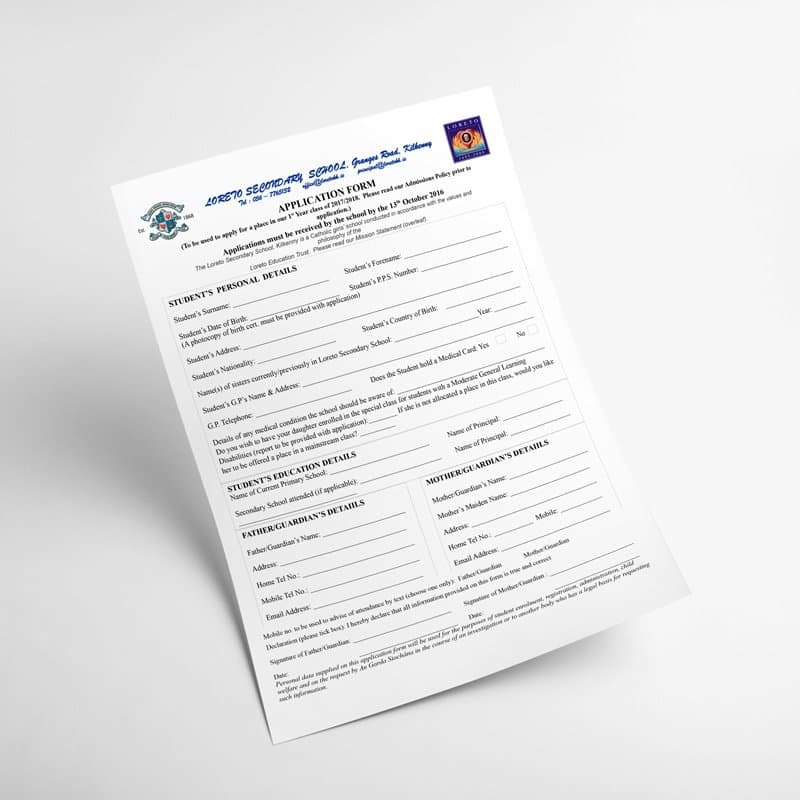 Application Form - to transfer from another second-level school - this form is to be used if you wish to apply for a place for your daughter who is already enrolled in another second-level school.